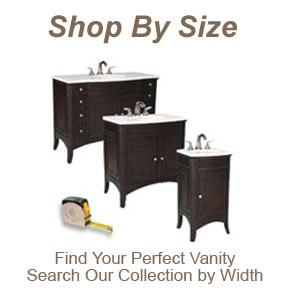 You are here: Home / bathroom vanities / What is the Standard Height of a Bathroom Vanity? 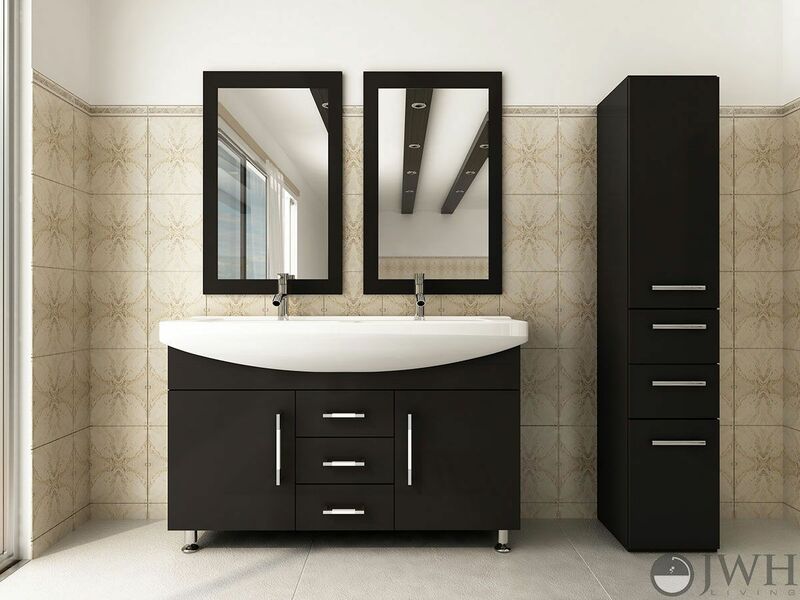 Vanities come in a variety of height arrangements including standard height, comfort height, and vessel sink height. 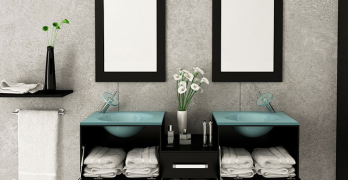 Standard vanity height is often contested and there’s not really a regulated “standard height.” The standard height of a bathroom vanity is determined by averages of the most common heights of bath vanities. Standard Bathroom Vanity Height is 32″. Vanity countertop height ranges from 30″-36″. 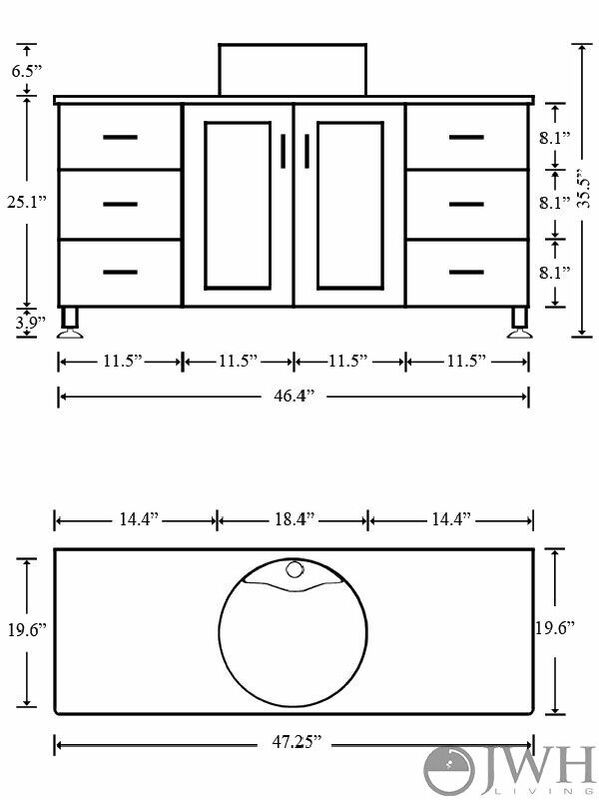 Standard bath vanity height is 32″. Generally speaking bathroom vanity countertop height can range anywhere from 30″ -36″. Standard height vanities work well in homes that have young children who may be at a disadvantage while using taller vanities. History Lesson: The reason these vanities were low involves a little history. After the post-war boom, there were many new housing developments (the suburban era) that offered multiple bedrooms with a single bathroom for the house in 2BR 1Ba and 3BR 2BA combinations. This meant that kids would be sharing the bathroom with their parents so vanity height was lowered to make this accommodation. This became the norm and was deemed “Standard Vanity Height” de facto. In contemporary times, we have several bathrooms in the house so designers often raise the height to more comfortable levels. Which brings us to the new standard; comfort height. 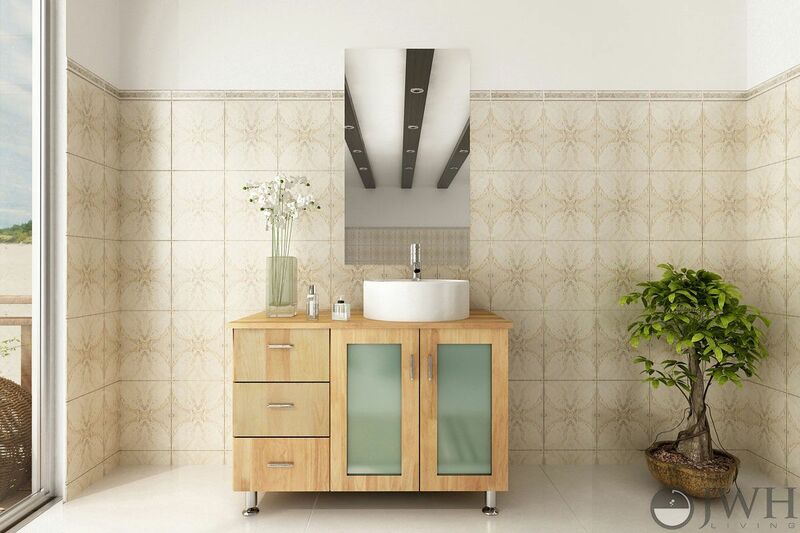 Newer bathroom vanities are following the trend of Comfort Height Bathroom Vanities. Comfort height vanities are taller than standard vanity height in order to reduce the pains of bending over to wash up. 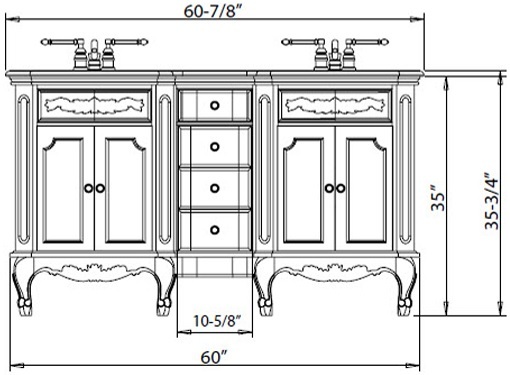 This is a diagram of the 61″ Point Loma Double Sink Vanity. 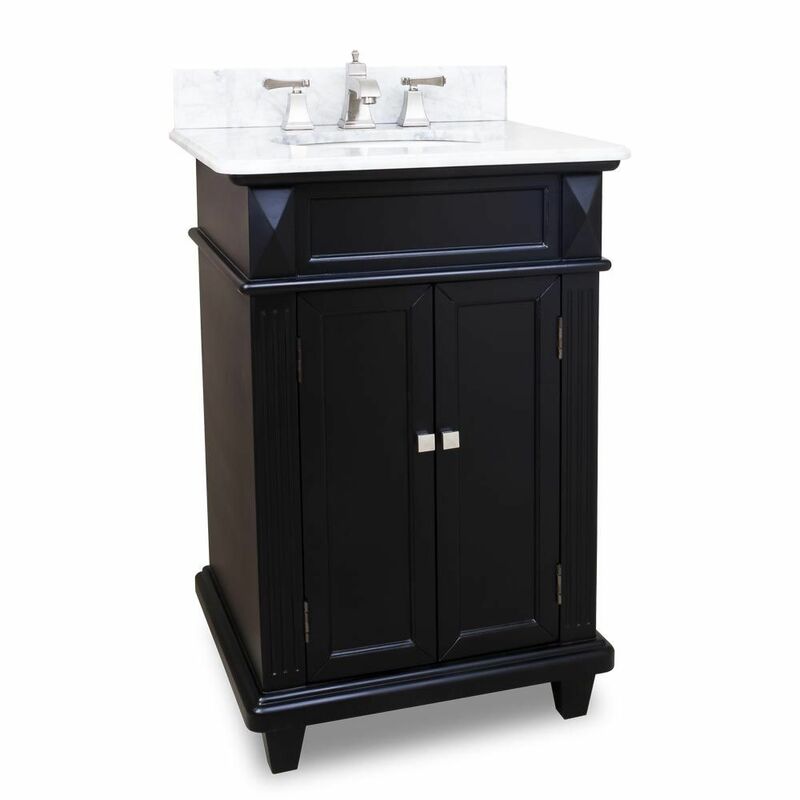 The Point Loma is a comfort height vanity with a total height of 35 3/4″ which is just shy of the taller 36″ vanities. Comfort height vanities match the dimensions of a standard 36″ kitchen countertop. Kitchen countertops are primarily used by adults for cooking preparations and are not readily accessed by small children. In contrast, the bathroom is used by children which is why bathroom cabinets are typically lower than kitchen counters. 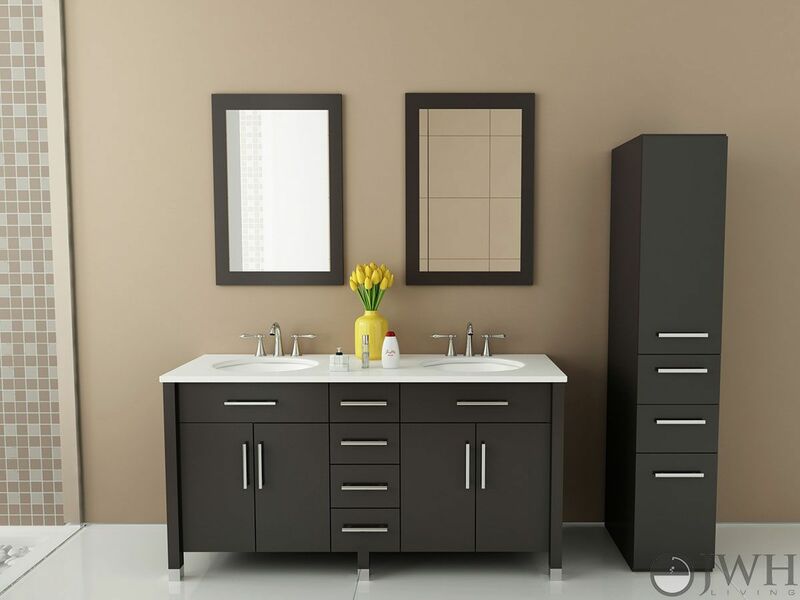 Comfort height vanities are ideal for empty-nest home parents and single adults. You can click here to learn more about Comfort Height Vanities and what you can do to accommodate small children using them. This diagram shows the dimensions of the 47.5″ Grand Lune Vessel Sink Vanity. You can see that the vanity height is 29″ + 6.5″ for the vessel sink for a total height of 35.5″. Generally speaking, a bathroom vanity will be lowered in order to accommodate for the extra height added by a vessel sink. Vessel sinks typically add 5-6″ to the height of the vanity countertop. For example, if you want the rim of your vessel sink to be at comfort height, you will need a vessel sink vanity that is 36″-6″=30″ in height. I was able to write a complete write up on About.com about the Pro’s and Con’s of Vessel Sinks. You should check it out if you’re interested in installing a vessel sink. 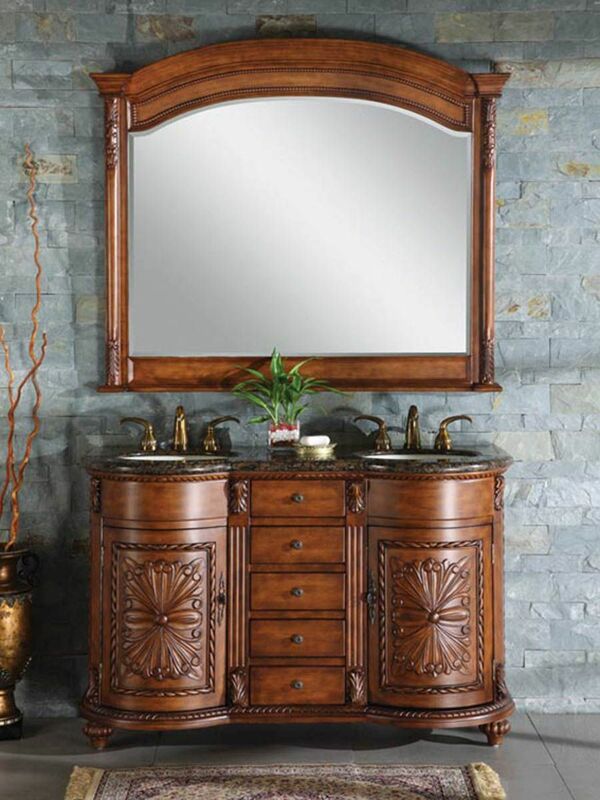 Likewise, you can view a number of vessel sink vanities by visiting Tradewinds Imports.com. What Size Bathroom Vanity Should I Get? 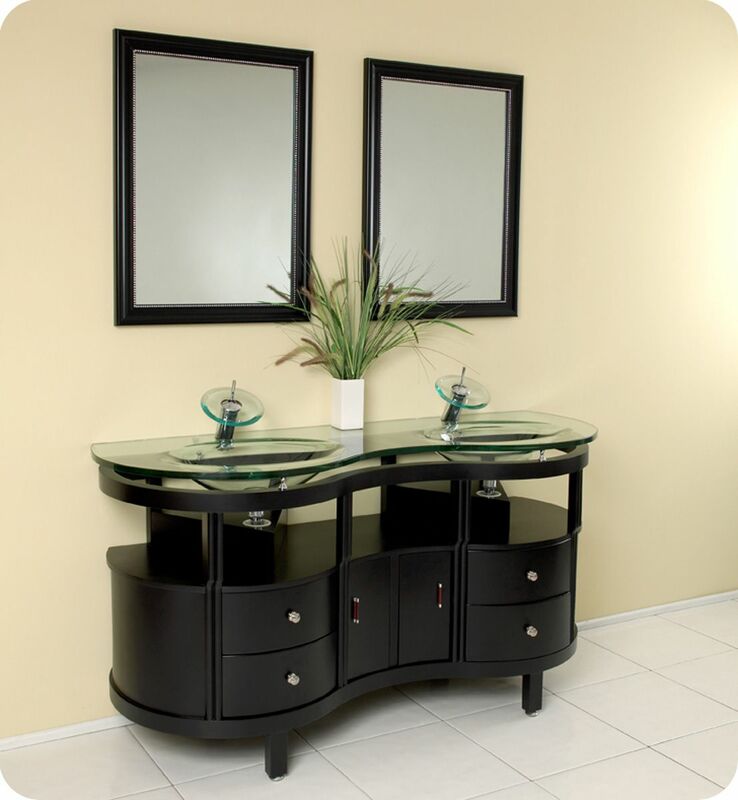 What size bathroom vanity you decide to get ultimately depends on your personal preference and living circumstances. A majority of new vanities are made at Comfort Height. This provides ease of access and will result in a more natural form. If you need an accessible bathroom, sticking with a standard height bath vanity will make day-to-day tasks easier. Vessel sinks are artistic creations that are more suitable for homes without children as they are harder to clean, taller, and can be more fragile. 24″ Jupiter Single Bath Vanity – Black. 36″ Comfort Height Vanity. On Sale for only $710.10! 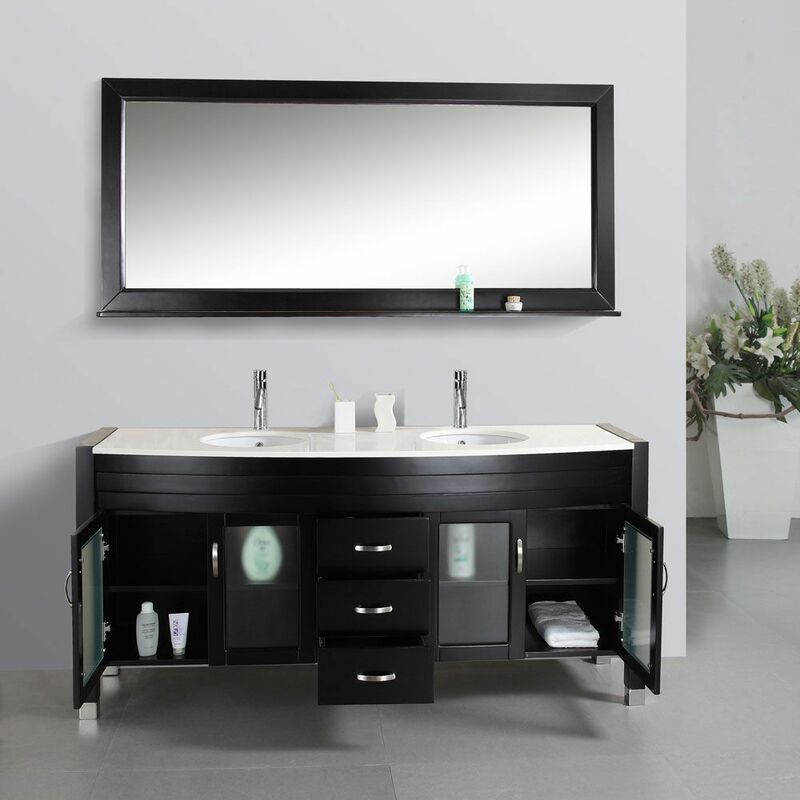 The 71″ Ava Double Sink Vanity from Virtu USA has a counter height of 33.46″. It is one of the most popular models from Virtu USA. Learn More. 54″ Zikas Double Sink Vanity. 36″ Height. $1550.00. View more Curved Front Bathroom Vanities. 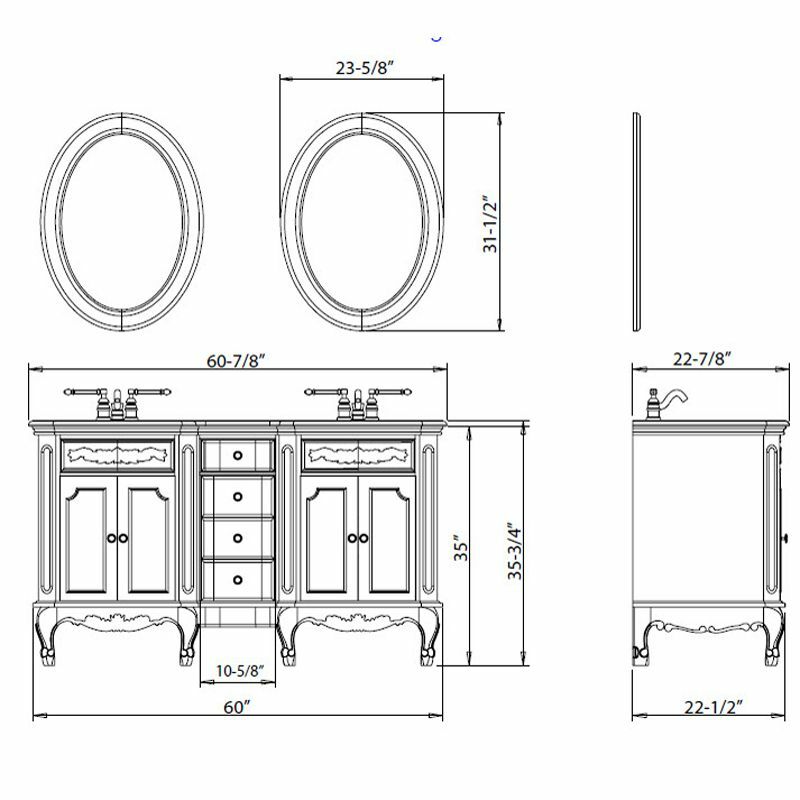 The 48″ French Cortona Vanity. 36″ Height. $1,129.00. 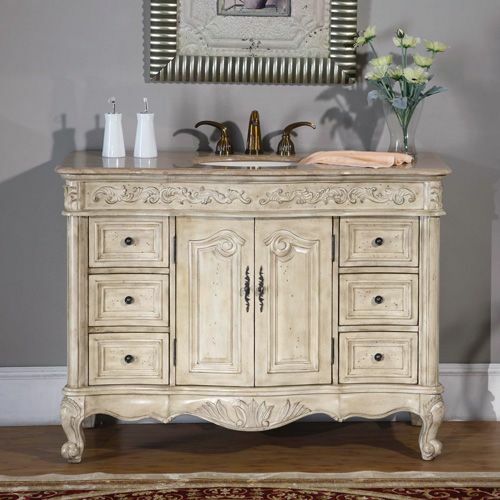 View more French Provincial Bathroom Vanities. 63″ Unico Double Sink Vanity. 33.75″ Height. $1,799.00. 39″ Lune Single Vessel Sink Vanity – Naked. 34.5″ Height. $899.00. View more Glass Front Bathroom Vanities. 48″ Celine Double Sink Vanity. 32.4″ Height. $1,195.00. View more Bathroom Vanities with Integrated Countertops. 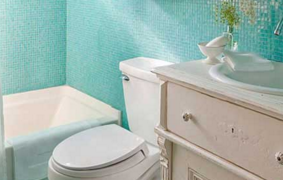 Cheryl Khan is a designer and writer at Tradewinds Imports, an online specialty site dedicated to retailing fine bathroom furnishings. She has extensive knowledge about all the finer details that go into planning the perfect bath renovation project and is an expert in all things bathroom!